This post is sponsored by Walgreens and SheKnows Media. All opinions are my own but I think you’ll see why the Walgreens App is a must-have for busy parents! I depend on my phone and apps for a lot of things, from keeping me organized to having entertainment on the go. The Walgreens App is an app that does many things to make my life easier! I talk a lot about how busy our family is, and I have to admit that sometimes it’s hard to balance everything. I know I’m not alone in this. I’m also probably not alone in the fact that I depend on my phone a lot to help me keep everything in order. I used to write everything down, but I’d find myself forgetting my lists and notes! So, I’ve made the transition to using my phone. My favorite apps are the ones that I can use to keep track of a few different things in my life. This is how I met and fell in love with the Walgreens App! It started as a useful way to manage Carrigan’s prescriptions but grew into an app that I can’t live without! I first got the Walgreens App when Carrigan got put on a regimen for asthma. She has a few different prescriptions that we depend on each day, but they don’t always run out at the same time. So, I was constantly finding myself on the phone with the pharmacy. Even though it might only take a few minutes to call the pharmacy, those minutes add up. I knew there had to be an easier way to fill her prescriptions without jumping through those hoops. Refill by Scan – This is my favorite and the one that saves me so much time! All you do is scan the label on your prescription! Rx Status & History – I have to admit I use this feature more than I thought I would. I can never seem to remember all of the details! On the app, I can view medication history and refill medications. Pill Reminder – With this feature you can even set reminders for yourself, so you don’t miss a dose of your medication! 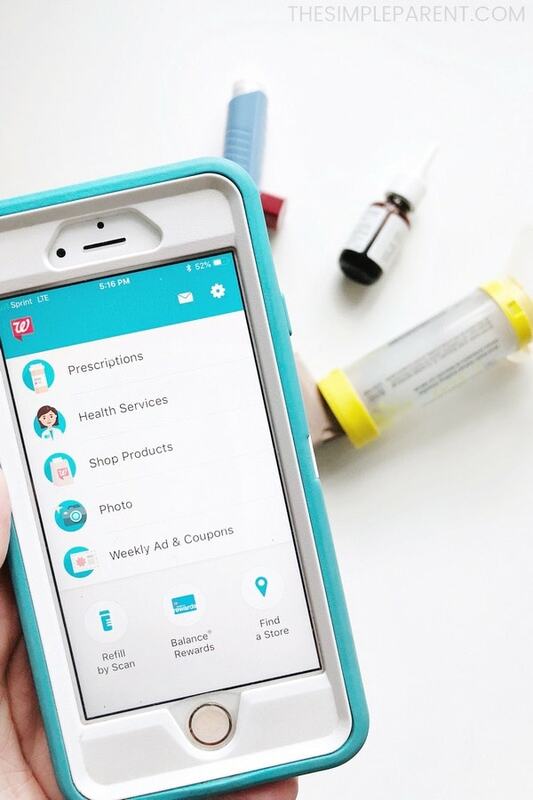 Our family’s prescriptions are the main reason I got the Walgreens App, but then I discovered that there are some other great features that work great for me as a mom! I take a lot of photos on my phone – A LOT OF PHOTOS – and most of them just live there on my phone or in the cloud somewhere, until I need a gift. There are so many photos that I want to print or create decor with just for us, but it’s usually the need for a gift that motivates me to do something with my photos. So, why don’t I do it? Because it always seema like a lot of work. 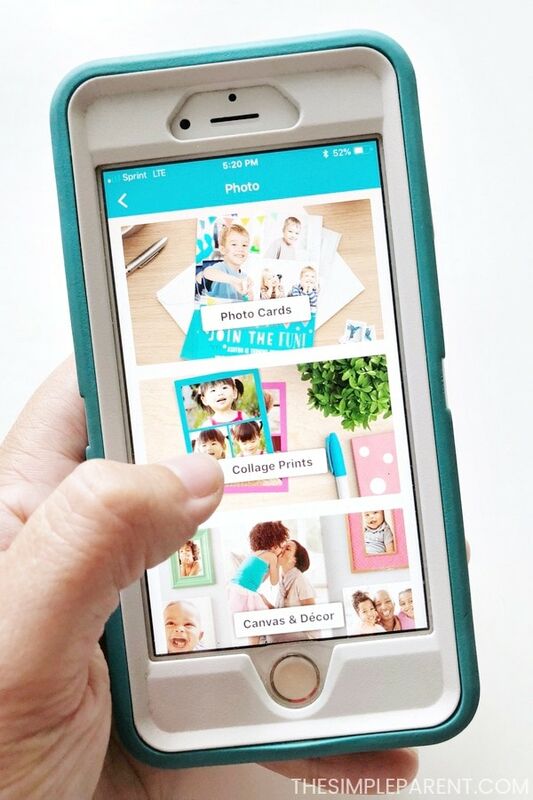 This has changed, though, because the Walgreens App has turned me into a photo gift guru! FREE Same Day Pickup is what saved me before Mother’s Day! All of the photo products that are available in the app are eligible for FREE Same Day Pickup. 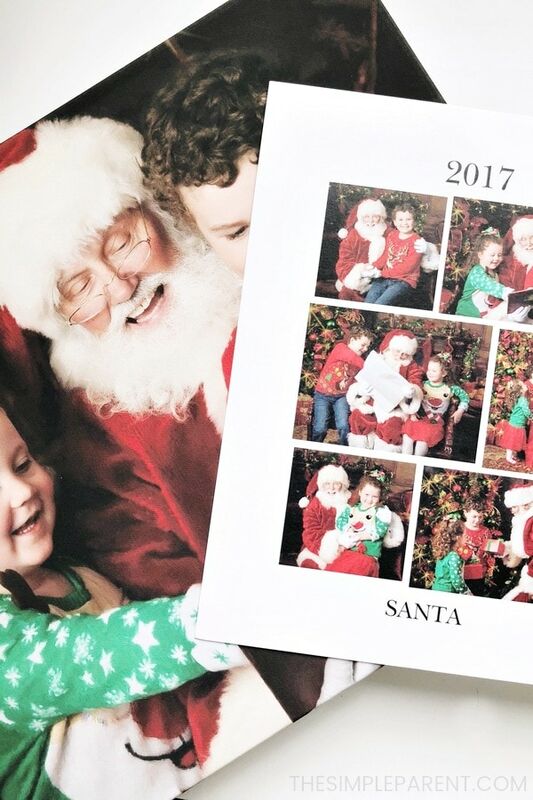 We used the app to create some canvas prints of our Santa photos and they were a hit with all of the grandparents! I made them in minutes and picked them up later that day! Oh, and if you need invitations, the Walgreens App has you covered there, too! It’s easy and with Same Day Pickup, it’s great for those last minute needs if you found yourself putting things off because you’ve been so busy. Yep, that happens to me all the time! I’ve gotten more and more comfortable with online doctor appointments and it all has to do with the convenience factor. I’ve had great experiences without having to drag everyone out to sit in the waiting room when just one of us has an issue. I don’t know if it’s just my family, but things usually seem to pop up when the doctor’s office is closed and all I can do is leave a message. The Walgreens App can save us all from that frustration. You can use the “find care now” features to find the care you need and schedule a visit. I’m not a couponing type of person, but I love to save money just as much as the next person. Saving time and money are two things that I’ve never heard any of my friends complain about. “Clip” Paperless Coupons – you can add the Walgreens paperless coupons to your Balance® Rewards account right from the Weekly Ad and take advantage of the savings! 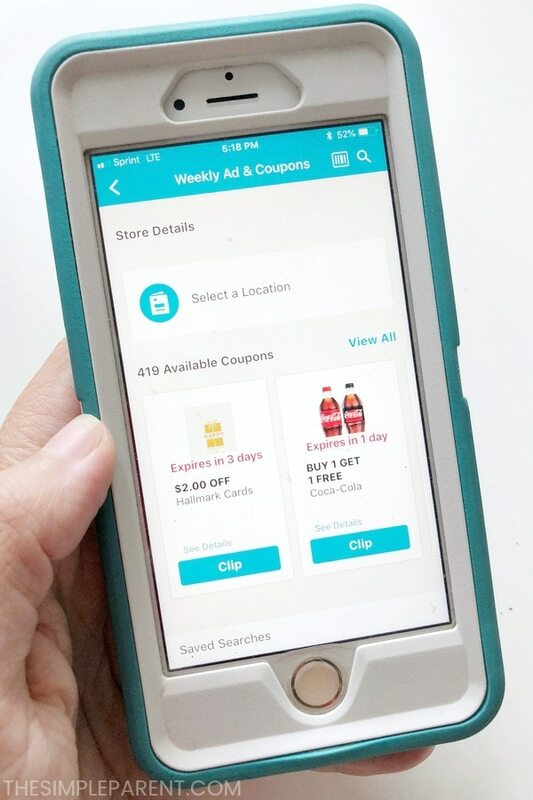 Clip by Scanning – If you’re already at your local Walgreens shopping, you can still snag the paperless coupons with ease! You just scan the barcodes while you shop and redeem them at checkout with your Balance® Rewards account information! Using the app, I can prep for a Walgreens run no matter where I am! And I don’t ever miss savings on items we put in our basket. It’s my kind of saving — the easy kind! We stop into Walgreens a lot when we need to pick up a few things or when we have prescriptions to pick up. Being able to do so much with the Walgreens App has changed the way I shop because of the convenience factor. 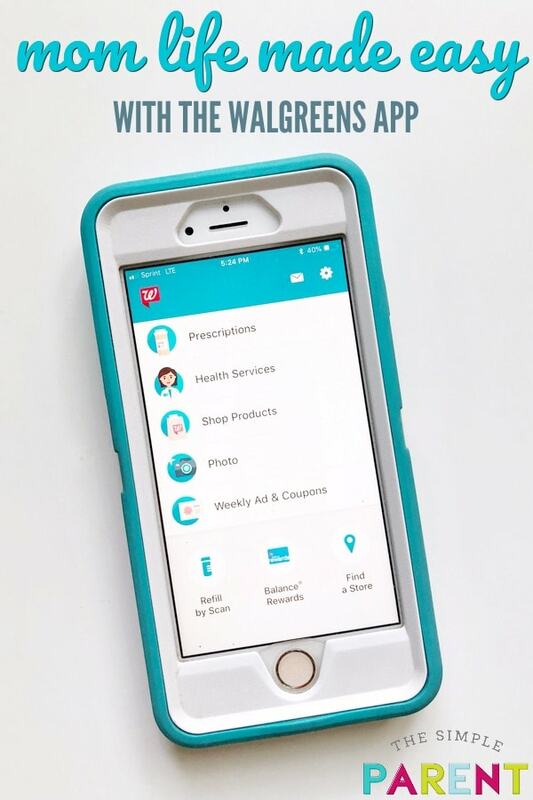 The Walgreens App is FREE to download and is available on both iOS and Android, so, you can start making your life a bit easier too! 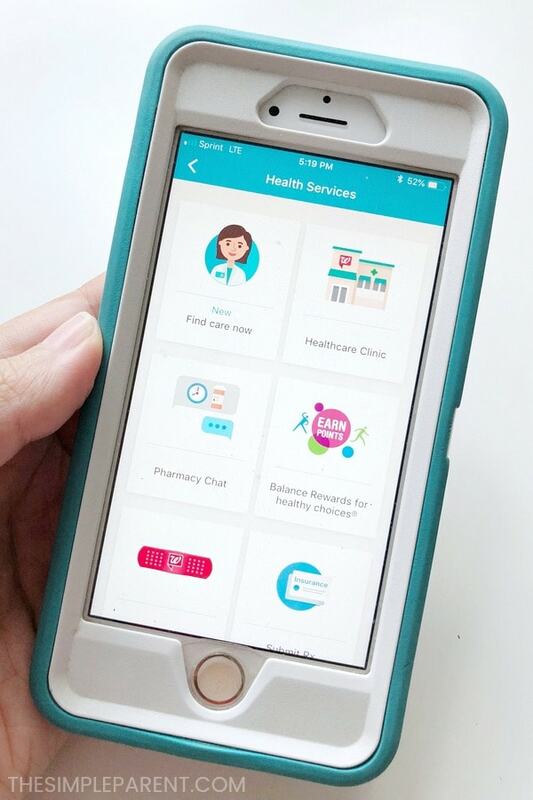 From prescriptions and health advice to photos and money savings, the Walgreens App is one of my go-to apps and a huge help on some of my busiest days!